Right Guard Security is nationally recognised by multiple police forces, authorities and event organisers for our Crowd Management Services. Our outstanding reputation proceeds us; providing our clients with confidence, assurance and ongoing flexibility to ensure we deploy to meet their requirements. We focus our crowd management planning and deployments on ensuring public safety and safeguarding all attendees. Our aim is to ensure attendees have an enjoyable experience within a safe environment and minimise the risk of crime and public disorder within the event footprint and the immediate surrounding area. We insist on the highest standards of delivery, ensuring quality, diversity and consistency which we maintain throughout each of our security assignments. Within our diversity of experience, we have specially trained officers to enhance our deployments, including our Front of Stage Safety Barrier teams, (also known as Pit Safety), at standing concerts and containment barriers. To enhance the safety for all, we deploy operatives with our Body Worn Video Cameras (BWV) on specific operations to assist our clients and our SIA personnel. The BWV camera is an essential tool for protecting the modern door supervisor and capturing evidence as necessary. Officers of our Tactical Response Teams (TRT) are equipped with Body Worn Video cameras. The TRT provide support to our SIA and Stewarding teams on many deployments, enabling another level of resilience to enhance our assignments. The TRT provide a higher level of expertise and tactical options including crowd tactics, conflict management, rapid intervention and public order. 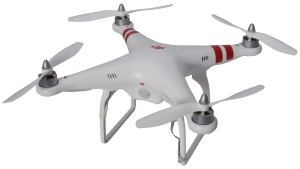 To support our crowd management and event security deployments, we can deploy our GPS aided drone to assist us in providing aerial viewing of the site; including access and egress routes, car parks and external areas that may be affected by the event. The drone provides a live feed to our control room, enabling regular updates on the site, including crowd density, holding areas and queuing awareness, pedestrian approach and exit routes. This information is invaluable for the safety of the event.